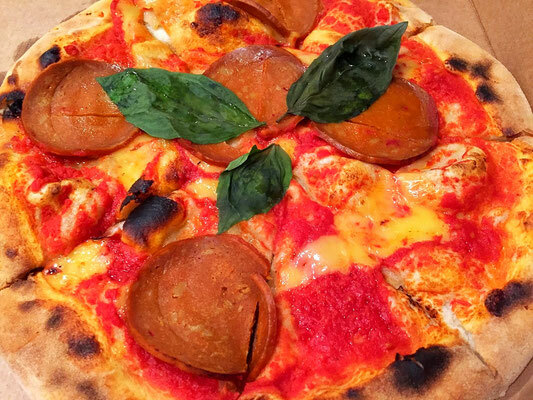 The UK's first 100% vegan pizzeria... And they deliver! I've never heard of anything so fantastic! Being a huge pizza lover, I could not have been more excited about the opening of this 100% plant-based pizza restaurant in my beloved Brighton. No worrying about reading the menu and scrutinizing the ingredients! All vegan cheese and meat to eat to my heart's content! And most is also gluten-free, too. Normally I like to go into restaurants in order to get the full experience. I'm a huge sensualist, so I love to take in all the details that envelop you when in a proper dining room. But since this place delivers, the neophiliac in me perked up at the uniqueness of that thought and so I had no choice but to get delivery. 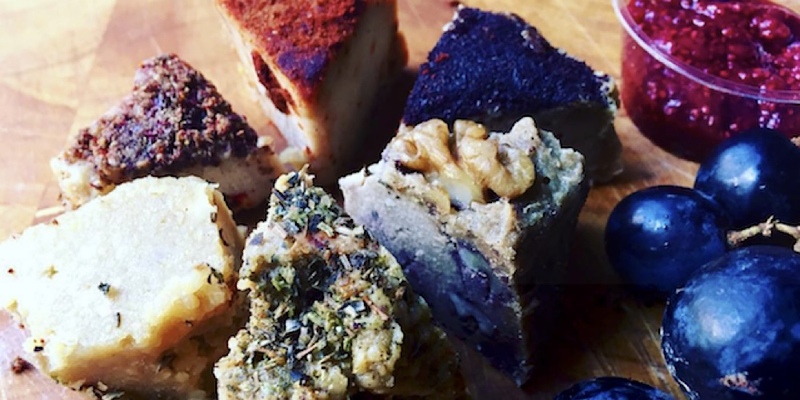 Who doesn't want delicious vegan food delivered right to their front door?! They've got some pretty interesting pizza choices. I loved the Monete: tomato sauce, vegan cheese and seitan, and the Pesto: tomato sauce, pesto, courgette (eggplant), onions, pine nuts and cherry tomatoes. Both a perfect blend of Italian flavors and spices. Fresh vegetables, savory seitan, and the perfect melty vegan cheese. Classically delicious pizza. With 14 different styles of vegan pizzas to choose from, you really can't go wrong! But it doesn't stop at just pizza! There's raw foods, salads, lasagna, burgers, focaccia bread, cheesy bites, and desserts like brownies and tiramisu! Check out this amazing fermented vegan artisanal cheese board and this deliciously melty gooey golden mac and cheese! To die for! Visit Purezza at 12 St James St. Or be lazy like me and have it delivered from Deliveroo!